There are certain things in everyone's life that will sustain forever in the corners of their minds. No matter how long back the impression was made into the memory or how fading the memory gets, you try to rejuvenate it like chewing the cud once in a while to keep it lively behind the foggy cloud of clutters in your mind. Let it be good or bad, some memories never perish especially your childhood memories on your favorite food. I am pretty sure that we all brag about our Mom's handmade food. Honestly, that might not be the best food, but we like to mention it as the world's best food because the love and care she puts into each meal she prepares uplifts a simple meal to another level. The best part is that when you are away from your home, you feel like everything you eat is useless and tasteless and you will even crave for your least favorite food that your Mom used to make at home. Isn't that a crazy feeling? Years ago when I was expecting my first baby, I had this crazy craving for some Masala Dosa and there was no way that I was capable of making anything close to it and it was getting late in the evening. I had to get these dosas somehow. The restaurant was almost half hr away from where we used to live and my hubby was perplexed by my uneasiness. He might have thought that I would have the baby right away if I don't eat dosas. Anyway we went to the restaurant and I still remember how I ate that most precious dosa within minutes while giving an impression to my hubby and people who noticed me like if I had not eaten for days. 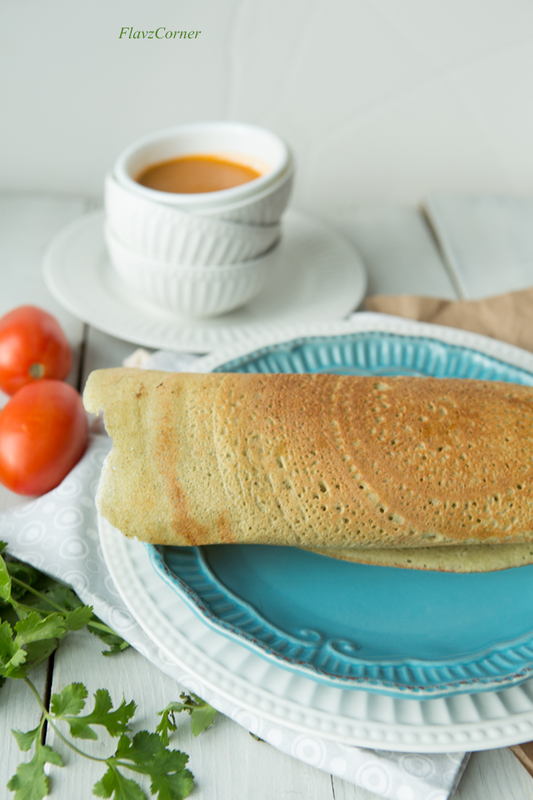 Masala dosa was one of my childhood favorite and I literally craved throughout my pregnancies for these dosas. Now my kids love them too :). Thanks to my cravings!! Today I am posting a recipe of the dosa which I found on 'Chef At Large' group on facebook and I was so excited to try it and it yielded the best results. This dosa tastes little bit different than the regular dosa. 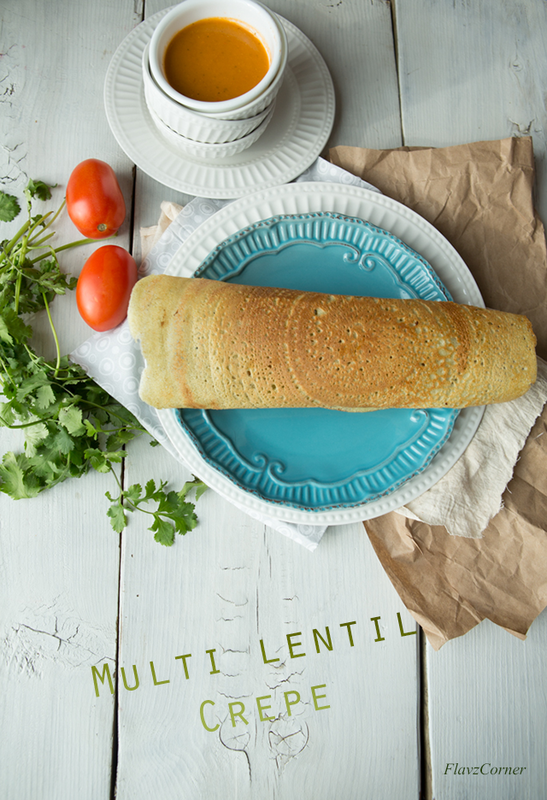 This dosa has more dal/lentil taste than the rice based dosa which underlines the fact that they are healthier. The highlight about these dosas are that they turn out to be very crispy and crunchy just like how you get from the restaurants and you don't feel much of a difference in the taste when served with chutney or sambar unless you got some super active taste buds like my kids who can quickly sense the difference. But we all enjoyed these dosas with our favorite Tomato Cilantro Chutney for our weekend breakfast. The left over batter was used to make dinner on the weekday. Soak dals and rice separately for at least 8 hrs. or overnight. Grind dal mix with 3 cups of water into a very smooth batter. Then grind rice with 1/2 cup of water. It is important to grind the lentils and rice to a very smooth batter to get the crispy thin dosa. Turn the oven light on and keep the batter covered in the oven and set the timer for 3 hrs. This batter don't need fermentation. Add salt to taste just before making the dosas. Heat a flat non stick or cast iron pan on medium heat. Once the pan is hot lower the flame little bit. Cut a small shallot at the bottom and dip in oil and rub it on the surface of a hot pan. If using a big pan, pour 3 ( 2 for smaller pans) medium size ladle of batter at the center of the pan and start spreading the batter with the flat surface of the ladle by moving your arm starting from center to outside in concentric circular pattern. Please refer to the image in the second last picture in this post. Drizzle few drops of melted butter or ghee on top of the dosa and let it cook on low flame. If you are using a big pan, you may have to move the pan around to get enough heat on all sides. When it starts to get light golden brown on the thinner part of the dosa, it is ready to roll into ghee roast style dosa. Or when all the sides are evenly cooked, it is ready. There is no need to flip the dosa on the other side. You can use a spatula and a fork to start rolling the dosa to form a hollow log as shown in the picture. The rest of the batter can be used to make dosas as needed. The left over batter can be refrigerated up to 2 days. You can enjoy these crispy dosas with Tomato Cilantro Chutney or Avocado Chutney or Sambar/Curried mix of vegetables and lentil. The key in making a very thin crispy dosa is the way you move fast to spread the batter on the hot pan without leaving the time for the batter to cook right away before you spread it. So its important to keep the flame on low to medium heat. It will take some practice to make perfect round dosas. Like I mentioned in the directions the batter should be very smooth too. I used a big flat cast iron pan to make these dosas and they turned out to be very crunchy. 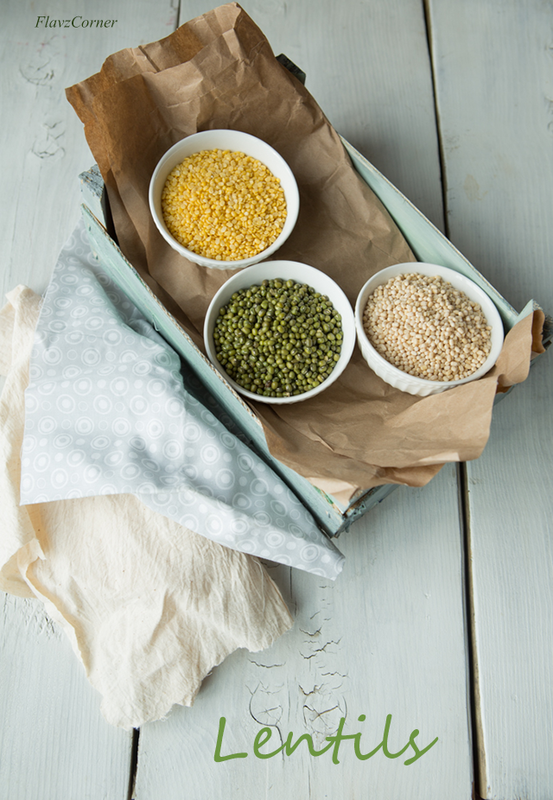 You can get all these different kinds of dal/lentils from any Indian stores. You can very well half the recipe to adjust for the number of dosas you need. 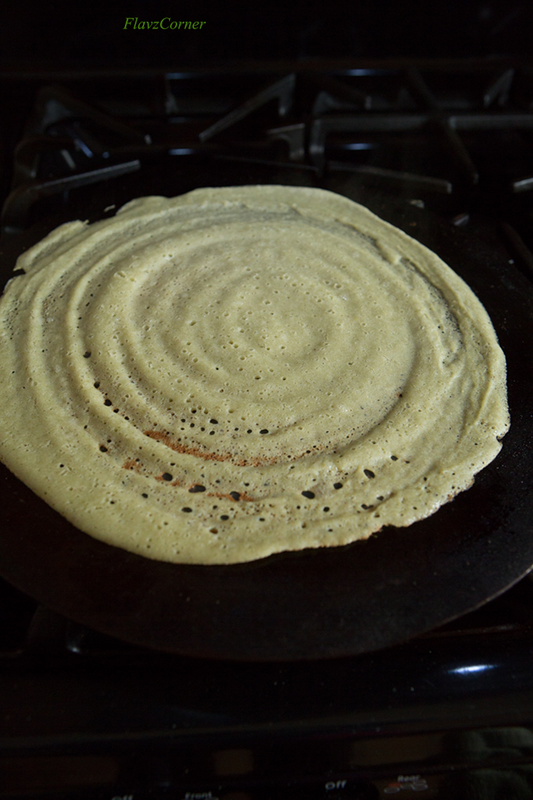 Like any other dosas, its better to enjoy them warm out of the pan, which will keep them crunchy. If you like soft dosas, you can use the same batter and all you have to do is not spread the batter too much while making them. Basically make it thicker than ghee roasts, which will result in soft dosas. You can grind 1 tbsp. of chopped ginger with the batter to give a flavor. 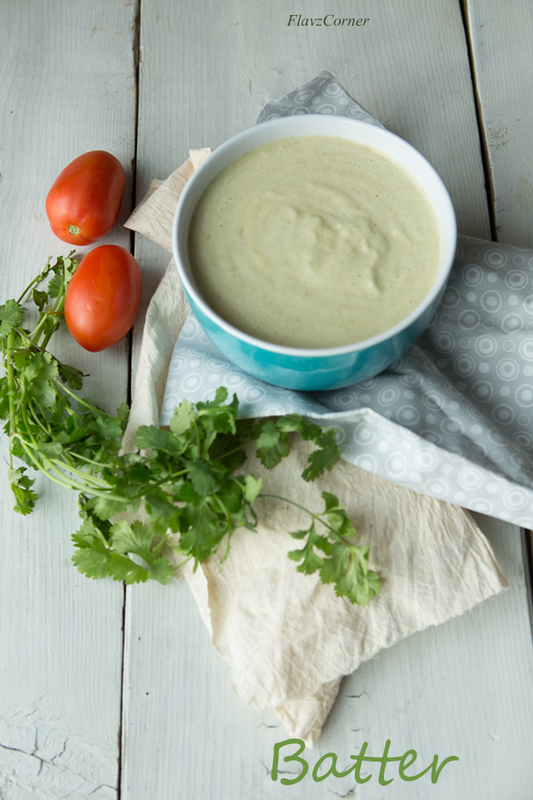 You can certainly flavor the dosa with sauteed onions, cilantro, green chili or curry leaves. But I have not tested it with these options to see if they will turn out to be crispy. You may have to grind them to smooth paste for even spreading of the batter to make the dosa which is the key to make these crispy dosas. Do all of us malayalees have a masala dosa craving during pregnancy? :D I had it too! The dosa looks so good. Looks crrissp! Very impressive! These Indian crepes look fantastic, Shibi. I love this dish! Never tried my hand at dosa making, though. I should -- this is a terrific recipe, and you make it look so simple. Thanks! They look fantastic and so yummy Shibi. CAL is awesome right...so many diff verities of recipes u find there. But some of them go flop for me sometimes...I love ur pics Shibi, with each post it gets better n better :) You shud teach me some photography skills! Hey Thanks for stopping by, my first time here ....luvly and healthy recipes.. I was holding a corporate job when I was carrying my daughter and about 90 percent of the staff was from some or the other state of south India and they used to spoil me with home made south Indian food all thru my pregnancy!